Stampin' Up! Pop of Paradise - Pineapple and Flamingo stamps! This one jumped right out at me at the launch of the 2016 Annual Stampin' Up! Catalogue - it's bold and bright and pineapples and flamingos are very on trend at the moment. Pop of Paradise stamp set and it's matching Pop of Pink Designer Series paper and washi tape are fabulous to add to brightness and happiness to your papercraft world! I personally LOVE Mint Macaron with gold, black and white and adding the bright pop of Melon Mambo really adds wow, I did a bit of fussy cutting here but that is so simple with paper snips. I also made a bulk lot of 'hello' cards using the notecard and envelopes. I find 'hello' and 'thankyou' cards really handy to have on hand in bulk for customer thankyous and sending catalogues etc. These were fun to make and I love how they turned out. Here's a closer look at the beautiful Pop of Paradise stamp set and coordinating products. Pop of Pink Washi Tape (available HERE in my online store). You can also view the matching accessories and other products I have used using the links at the end of the post. It's such a fun product suite to play with and the results are really wow. Don't forget any orders you place between now and July 31st earn a $9 Bonus Days voucher for each $90 in one order (either through me or online). These vouchers can be used in orders during August 2-31st. Your voucher will automatically arrive by email soon after your order (don't forget to print the email and/or write down the coupon code). Today I've been playing with the new Love and Affection product suite from the 2016 Stampin' Up! Annual Catalogue. It comprises one of our speciality DSPs, as well as a coordinating stamp set and washi tape (which I used in the previous post). The specialty paper includes a sheet with copper foil accents, which is lovely! I copper embossed a few of the flowers from the Love and Affection stamp set and used them as additionally embellishments (hand cut but super easy with paper snips). There's lots of cute little branch stamps in the set too, so they are great for layering and backgrounds. Here's the beautiful paper pack. You get 12 sheets which are 12" x 12". 10 are double sided and there are two foiled sheets. The colours are beautiful - Night of Navy, Watermelon Wonder, Mint Macaron, Daffodil Delight, Cucumber Crush and Copper. I didn't use the Washi Tape on this card (I did on the last post) - it perfectly coordinates with the paper pack. I's gorgeous! 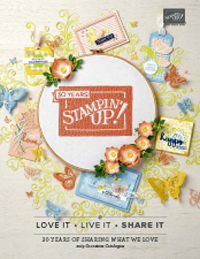 Stampin Up Touches of Texture - one of my new favourite stamp sets! I love a little grunge when it comes to my stamp sets, so the new Touches of Texture stamp set in the Stampin' Up! 2016/17 Annual Catalogue is one of my new favourite sets. Not only does it have the grunge, but also flowers which are another of my very favourite things! I love the texture stamps too, especially the gorgeous one I have used around the edge of the crumb cake layer. I have coloured my image using Blender Pens and the ink from inside my ink pad lid - SO EASY! My colours are Watermelon Wonder and Cucumber Crush. I have used a little Mint Macaron for the ink splatter stamping in the background and Early Espresso for my greeting (which is from the Designer Tin of Cards stamp set). There are also some cute little insects in the stamp set to add extra interest to your creations. I love the dragonfly especially. LOVE LOVE LOVE that copper patterned washi tape! It's one of the 5 beautiful rolls that you will find in the Affectionately Yours Washi Tape pack. You can find the tape HERE in my online store. Here's a closer look at the beautiful Touches of Texture stamp set. You can find it HERE in my online store for clear mount, and HERE for wood. 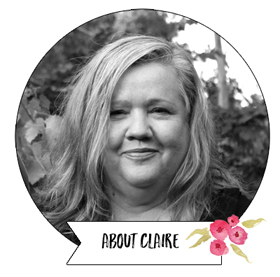 I have a bunch of lovely and talented stampers on my team, and I would love to show you their talents a bit more. I have started a new challenge with them on my team Facebook group, where I inspire them with a photograph I have taken. I love taking photos as a hobby, and I often am inspired by the colours or shapes or just natural beauty in photographs. 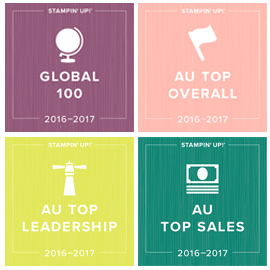 So here we go - our Stampin' Up! Photo Inspiration Challenge #1. I hope this inspires you in some way too. 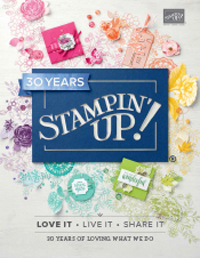 This was a photo I took on the recent Stampin' Up! Mediterranean Trip. It was taken at a Macaron stand in our walks around Paris. I loved the colours, but the girls in my team have interpreted it in many different ways. My own interpretations of the challenge were the colours. Kate Morgan of Cards by Kate took the interpretation very literally and came up with these fabulous Macaron cards. Here are Caroline Nicholls cards. Love the beautiful colours! Anne Pugh and Sharon Davern were inspired by the 3D shape. Here is Anne's card. She has used the 3D shape and colour inside the card which looks fabulous. and here is the matching outside of Anne's card. Here is Ros Davidson's interpretation. I hope you have enjoyed today's cards and there is some inspiration for you somewhere here. Keep an eye out for the next Photo Inspiration Challenge in 2 weeks. In the meantime, pop back tomorrow as I have lots of creations to share with you from my week away last week. Have a happy day and stay warm!